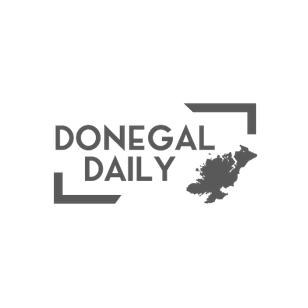 A Judge has warned a Derry man that he is not allowed to bring drugs into Donegal. Buncrana District Court heard that Eamonn Green, of 6 Inis Carn Crescent, Creggan, pleaded guilty to possessing cannabis earlier last month. The court heard that Green’s car was searched by Garda Jason Conroy on April 14 at Ballyderowen, Burnfoot. Superintendent Eugene McGovern said the value of the cannabis was £35 (€45). He said the Derry man had no previous convictions and was extremely co-operative when arrested. The senior Garda said the detection arose when Garda Conroy searched his vehicle in a public place. Supt McGovern told the court that there were other occupants in the vehicle but that Green admitted ownership of the drugs. Judge Paul Kelly asked Green what he was doing bringing drugs into Buncrana. The Derry man said the drugs were for personal use and admitted that it was a ‘stupid decision’. Judge Kelly warned Mr. Green that cannabis, even for personal use for completely illegal in the Republic of Ireland. He said his employers would not be too impressed with him if he ended up with a conviction for drugs. The judge said because he had no previous convictions he would give Green one opportunity to avoid a criminal conviction. Judge Kelly told Mr. Green if he made a charitable donation of €150 (£117) to the St. Vincent de Paul in Buncrana and bring the receipt back to court, he would strike out the charge against him. Green, 30, returned a short time later and produced a receipt. Judge Kelly told the Derry man that he would strike out the charge and that he would not be left with a conviction.